Ahmedabad, Metro Rail News: After much speculation and delay, Ahmedabad is all set to get its first ever metro rail next year. According to reports, the first three rake coaches, meant for a test run of the Ahmedabad-Gandhinagar Metro Rail project, have been shipped out of South Korea and are expected to arrive in Ahmedabad on 2 January. A test run is expected later in the same month. “The first train will reach the Apparel Park depot by 2 January, 2019. We will take about 10 days to assemble it and conduct some tests. 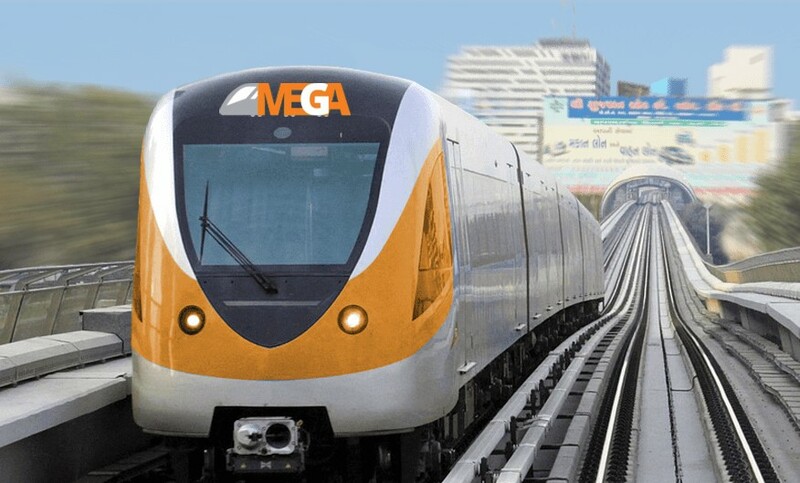 It will be ready for a trial run before or during the Vibrant Gujarat summit,” Said IP Gautam, MD of MEGA (Metro-Link Express for Gandhinagar and Ahmedabad Company Ltd). A South Korean firm that won the Rs 1,025-crore contract will supply a total of 32 trains (36 coaches) for phase-I of the project. The trial run for the project will take place in the first six kilometers of the 40-kilometer-long phase-1 of the project, extending from Vastral Gam to Apparel Park on the East-West Corridor in Ahmedabad. Earlier, there were speculations of delay in the project after IL&FS Engineering, a subsidiary executing a stretch of the Metro rail corridor, had stopped work since its parent company’s financial woes became public. The Phase-I of Ahmedabad Metro was sanctioned by the Central government in 2014 and spans a length of over 39 kilometers. Of the 39.2 kilometers stretch, 6.335 kilometers will be underground, while the rest will be elevated. The Ahmedabad Metro aims to connect the four corners of the city with two corridors — North-South and East-West. In all, there will be 32 stations. Prime Minister Narendra Modi’s ambitious project for his home state, also ran into some controversy after media reports revealed that the government has spent a whopping Rs 3,116 crore in the last four years on the project. The project is being made by part funding from the Central government, state government and a soft loan from the Japan International Cooperation Agency (JICA).